On the show, a regional sports recap, high school and NFL chat with Blake Bernier, and post game audio from the Racer win at SIU. A preview of MSU at SIU and audio from Monday’s Rechelle Turner and Matt McMahon press conferences. A review of the Racer win vs Middle Tennessee with post game comments from Matt McMahon and Shaq Buchanan. Plus, an area sports update. 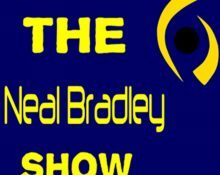 Radio voice of the Calloway County Lakers Blake Bernier talks high school basketball, NFL, and NFL Fantasy. The Paducah Sun’s Ed Marlowe talks Racer basketball, football, and volleyball..plus, a discussion of why wives WON’T CHOOSE A RESTAURANT! Voice of the Calloway County Lakers Blake Bernier talks high school basketball, NFL, and NFL Fantasy. The Paducah Sun’s Ed Marlowe talks Racer basketball and volleyball, Hoopfest, and more. A look back at the Racer loss at Alabama with post game interviews from Matt McMahon and Ja Morant. Blake Bernier talks high school football and basketball, NFL, and NFL Fantasy.